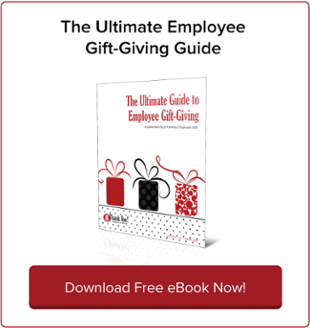 Day-to-Day Employee Appreciation Calendar for 2019 | gThankYou! Why Is Employee Engagement and Appreciation So Important? 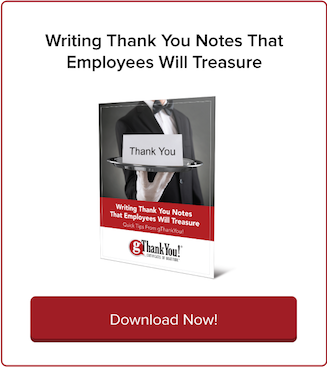 A quick scroll through the gThankYou blog will reveal a wide variety posts about appreciating and engaging employees. We talk about it all the time, because it’s key to the success of any business. 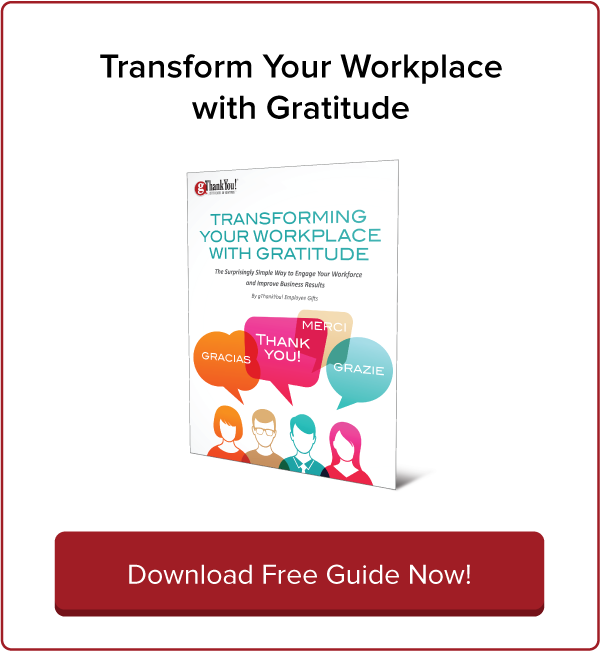 No surprise, it seems like every week there are articles describing how vital the need for engagement and gratitude in the workplace is. A Huffington Post article outlines 10 reasons why engagement is key and it’s hard to argue with the writer’s points and the research behind them. A Gallup study shows that companies with engaged employees have higher earnings. Engaged employees have lower turnover than disengaged employees. Recognition means a lot, in fact only 12 percent of employees leave a job just for a bigger check. Engaged employees outperform their less engaged peers by up to 202 percent. Employees who are engaged and happy are more likely to refer friends for job openings. …employee engagement is perhaps the most critical ingredient to achieving your company’s top goals. It’s in your best interest to invest in your employees because they’ll become invested in your company’s success—and that’s a sure way to boost your company’s bottom line. Just take a few minutes to look over the calendar! We bet that even if you are thinking you don’t have the time, budget or staff power to focus on employee engagement you’ll find something that will resonate with you. You don’t need much of a budget to make employees feel valued and important to the business. Make it a (totally do-able) New Year’s Resolution to take just one idea from the 2019 Calendar and implement it. Let us know how it goes. Use our how-to calendar to make your own working calendar of employee and even customer events. Learn more with our post “Build Your Own 2019 Employee Engagement Calendar”. 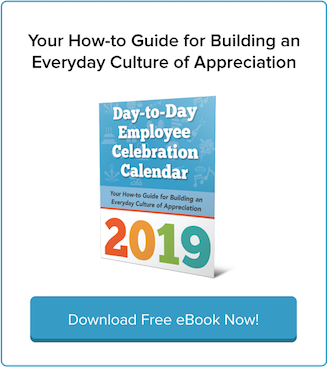 Download Your Free Employee Appreciation Calendar for 2019 Now! It will just take a few moments to download... Then you’ll find an array of tools that will educate and inspire you as you work within your organization to build a culture of appreciation. New case studies in this free eBook can jump start your creativity. Share it with co-workers and peers in other companies who may find it helpful. What are you waiting for? Download your free copy now!